Hamas is again demanding the re-opening of Gaza’s airport and seaport in the wake of Friday’s massive attack on a mosque in Sinai. The Rafiach crossing was closed again after the attack, after it had been opened for several days for the first time in years, as Egyptian forces undertook a major campaign to find those who carried out the attack and root out terror cells that have ensconced themselves in Sinai. The crossing into northern Sinai is the only one Gaza Arabs can use to leave the Gaza Strip, as Israel allows only emergency medical cases and the like to leave Gaza through crossings into Israel. The Gaza airport was opened in 1998, but has been closed since Hamas took over Gaza. In the wake of the second intifada and ongoing rocket attacks by Hamas against Israeli, IDF planes and bulldozers destroyed the airport. Development of the Gaza seaport, which had been approved by Israel in 2005, was likewise suspended after Israel imposed a naval blockade on Gaza after Hamas took over the territory. 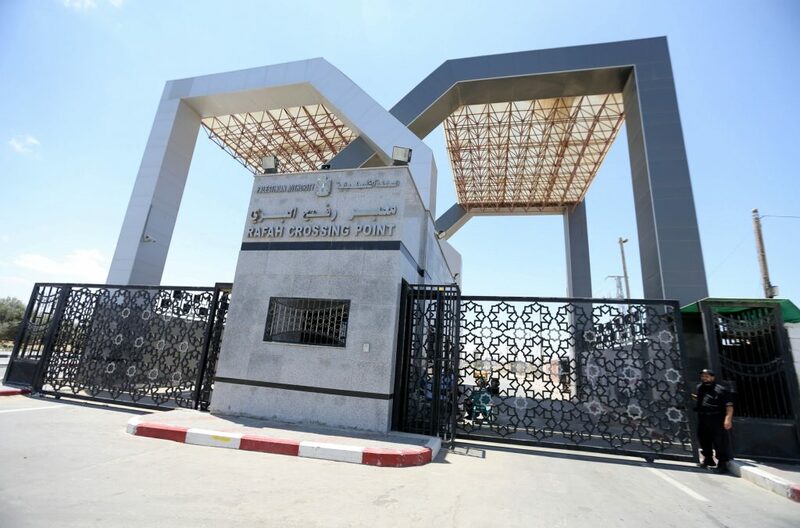 With the return of the Palestinian Authority to Gaza and the reconciliation of Hamas and Fatah, Hamas has been calling in recent weeks for the re-opening of both the seaport and airport – and in the wake of Friday’s attack and the closure of the Rafiach crossing, the terror group said in a statement that allowing access to the outside world for Gazans was essential to preserving the reconciliation. Israel said in a statement that it “strongly condemned the horrific and criminal terrorist attack on the El-Rawda mosque near El-Arish.” In a statement, the Prime Minister’s Office said that it “sends condolences on behalf of the people of Israel to President el-Sisi, the Egyptian people and the families of the victims. Israel sends its best wishes for a speedy recovery to the injured. Terrorism will be defeated even more quickly if all countries work against it together,” the statement said.